We are happy to offer our services to all patients regardless of insurance coverage status. We also see international patients and visitors to NYC from other parts of the US. No Insurance? No Problem. We offer discounts to patients without insurance coverage for payment at the time of service. You may also apply for 0% APR for your medical and non-medical expenses. Click to Check Eligibility. The physicians at New York Urology Specialists accept traditional Medicare as an in-network provider. Copays and deductibles are due at the time of service. We offer highest-quality, highest value urology care in the New York Metro area. Read about the true costs of medical care and how we help you to save your hard-earned money. The urologists at New York Urology Specialists are committed to providing the highest quality urological care in NYC to our patients. We provide medical care as in-network or out-of-network providers depending on your particular health insurance policy. 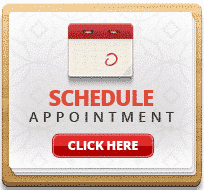 You can schedule an appointment with us if we do not participate in your health insurance plan. You may use your out-of-network health benefits or pay us directly if your plan does not offer out-of-network benefits. If you have questions about your health insurance, please contact us or your health insurance plan. If you do not have health insurance or your insurance does not have out-of-network benefits, we would be happy to provide you with outstanding care at a discounted price. All payments are due at the time of service. We specialize in providing high-quality low-cost urology care to patients with no health coverage who are paying out of pocket. Our goal is to provide you the highest quality care while minimizing your expenses. We routinely offer generic medications when available; oftentimes we can offer you sample medications to get you started and to make sure the treatment is effective before you pay out of pocket for medications. We offer drug-savings plans that cover many medications. We offer high quality, cost-efficient urology care for patients with high deductible plans. We will work with you to find high-quality, low-cost care solution that fits your goals. Our high-quality and cost-effective services will often cost you less than going to an in-network physician. Please contact us to schedule an appointment. If you need help with affording your deductible payments, you may be eligible for 0% APR credit for medical and non-medical expenses. Click to Check Eligibility. We accept cash, all major credit cards as well as PayPal. You can apply for low-interest credit cards here: You may also apply for Low-interest credit cards for your medical and non-medical expenses. Click to Check Eligibility. We understand that life can be unpredictable. If you are unable to come to your appointment please notify us at least 72 hours in advance. Cancellation fees apply for office visits, procedures, and surgeries. Our payment policies are simple and straightforward. We are always happy to provide you with the most outstanding urology care in NYC whether you have a commercial insurance policy, a high-deductible plan or no insurance at all. We would be happy to see you if we are not in-network with your insurance company, however, be aware that your out-of-pocket costs may be higher depending on your plan. Our prices are reasonable and are typically much lower than what you would pay by visiting a similarly experienced and qualified urologist working for a hospital. If necessary, we will work with you on financing options to help you. Our goal is singular: to deliver the highest quality urological care in New York City. Physician fees are only a small part of your medical expenditures. To help you with medical expenses, whenever possible, we will prescribe generic medications that have the same therapeutic ingredients, cost less and work as well as the expensive brand medications. Because we are an independent practice and offer your choices, your total cost of care may be lower even when you go out-of-network compared to getting studies done at a hospital affiliated with the hospital employed physicians. For example, when you need a CT scan or MRI you can go to an outpatient center where the cost of a CT scan can be $300-$400 compared to $1,000-$3,000 at a hospital. Please contact your insurance plan for information about your costs. We accept cash payments, all major credit cards including Visa, Mastercard, American Express, PayPal, and checks. A number of financing options are available. We are happy to see patients with traditional insurance policies or with no insurance, those with high-deductible plans, out-of-pocket cash paying patients and international patients. We offer high quality, cost-effective care. It is our belief that insurance rules should not limit your treatment. New York Urology Specialists is an in-network provider with Medicare. New York Urology Specialists and Dr. Alex Shteynshlyuger are not contracted with other insurance networks at this time. We will gladly see you as an out-of-network provider. Your insurance company may cover some or all costs of the care that you choose to receive from us as an out-of-network benefit. Our fee schedule is simple and straightforward. Sample visit costs are listed below. For more detailed pricing please contact us. Additional fees may apply for other tests, procedures and surgeries. * add $10 credit/debit card processing fee to cover the charges banks charge us if paying with credit/debit or prepaid card for new visits and $5 for follow up visits. * Fees depend on visit complexity and time. Sample fees are listed for CPT code 99203 for a new visit and 99213 for a return visit. More complex visits and longer visits are billed at a higher rate. For patients without insurance who are paying out-of-pocket for our services at the time of service, prompt payment discounts are available. We also offer unique, all-inclusive “prepaid” office urological care plans for patients. If you have Medicare, you will typically be responsible for 20% copay often covered by secondary insurance if you have it. If you require a procedure or surgery, you should discuss your condition with your insurance company to determine what the insurance company will cover under your policy. All or part of your physician fee for the surgery may be covered by your insurance company if you have out-of-network benefits in your policy. You may be responsible for the deductible, copay and/or other costs. We will assist you with any paperwork required by your insurance carrier to file a claim for reimbursement of your expenses. Please be aware that your insurance may require precertification for certain surgeries and procedures. Please note that hospital or surgical center fees are separate from physician fees. Your insurance may be accepted by the hospital or surgery center where the procedure will be scheduled. You may use a health saving account (HSA) to pay for the services we offer.